The Château de Montvillargenne and Performances-net combine their expertise for your corporate events and offer you an innovative experience for your employees. Because we like to offer you always more solutions and go further in our involvement with you, but also because we are convinced that the most sustainable model is one that allows everyone to contribute and express themselves, we were seduced by the concept “serious games” proposed by Performances-net. 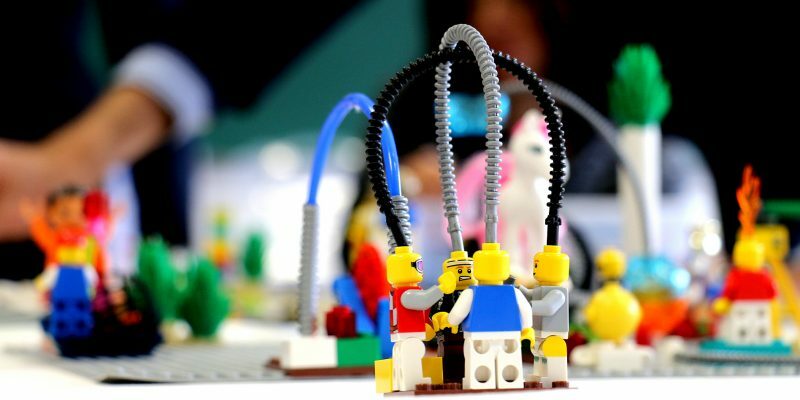 This workshop helps participants to more easily communicate complex ideas in simple Lego forms. The structured process elicits deep thinking, powerful story telling, authentic collaboration and problem solving of complex challenges that organizations, businesses and communities face. Services included: welcome and personalized follow-up, free Wifi, unlimited access to the wellness center-being area.